Learn traditional self-defence in a warm and friendly atmosphere. Beginners and advanced students train together, giving a wide range of training experiences to all. Learn self-defence techniques suitable for young and old, strong and weak, big and small, fit and not; our weekly classes are open to all. Learn throwing and grappling as part of our traditional Jujutsu training. Experience traditional and modern weapons techniques at our optional weapon seminars. Learn authentic Ninjutsu and Samurai Bujutsu, armed and unarmed combat techniques. Practice a traditional Japanese martial art lineage, passed from Master to Student for over 900 years. Learn from master teachers; organised and hosted by 15th Dan Shihan Norman Smithers. Email us now to reserve your place. Try our adult class temporary membership. For just £25 you can try up to 4 lessons for no additional fee before deciding to join the dojo. For children aged 6 - 11 we have our Koryoda Kids Ninjutsu class. For more detail see our Koryoda Kids Ninjutsu website, or you can get in touch by email. Whether you have been training at the Mushinzui Dojo Martial Arts School or another Bujinkan Dojo for a while, or have just started, you should definitely try our advanced training days. Welcome to the website of the Bujinkan Saffron Walden Mushinzui Dojo. Located in the quaint market town of Saffron Walden in Essex, just 16 miles south of Cambridge, and 13 miles north of Bishops Stortford, situated between Royston and Haverhill, the Bujinkan Saffron Walden Mushinzui Dojo teaches the martial art known as Bujinkan Budo Taijutsu. This martial art consists of nine traditional Japanese lineages (aka ryu) taught under the heading of Bujinkan Budo Taijutsu. Within the martial art of Budo Taijutsu, we study the armed and unarmed combat techniques of Ninjutsu and Bujutsu. Our Ninjutsu heritage includes Koshijutsu, Koppojutsu, and Ninpo Taijutsu. Our Bujutsu, i.e., our Samurai martial arts heritage, includes Jutaijutsu (a type of Jujutsu aka Jujitsu, Jiujitsu or Jiu-Jitsu), Dakentaijutsu and Happo Bikenjutsu (includes 6ft staff, 4ft staff, 3ft staff, sword – katana and wakizashi, jutte, spear, halberd, shuriken ). Ninjutsu is an historical Japanese martial art system that was employed by ruling feudal lords throughout Japanese history in times of warfare. Those Ninjutsu practitioners who fought alongside Japanese samurai, and who in some cases were also of the Samurai martial class, were the special forces of their time. Alongside their self-defence style martial knowledge, Ninjutsu practitioners, or Ninja as they have become known colloquially, employed specialist skill sets such as meteorology, disguise, local knowledge and specialist tools and weapons to infiltrate and invade enemy encampments and fortresses. Though no longer directly useful in its original and complete form, in a modern peaceful society such as in the UK, the specific martial arts knowledge and strategic approaches to self-defence and protection developed over centuries by Ninjutsu practitioners is still very useful for our self-protection and for the protection of our friends and family. Koshijutsu and Koppojutsu form the core self-defence methodology for the Ninjutsu practiced in Bujinkan Budo Taijutsu. With Koshijutsu, we learn how to manipulate an attacker’s balance and use their power against them; we learn how to pacify and restrain an attacker using the minimum of force. With Koppojutsu, we learn a complimentary and yet almost polar opposite strategy to Koshijutsu. Whereas Koshijutsu teaches us subtle sweeping movements for use against an attacker, Koppojutsu teaches us techniques that are very direct and to the point, defending and restraining with direct and accurate strikes and locks. Ninpo Taijutsu provides different strategic techniques and approaches towards our self-defence, teaching us avoiding and escaping strategies and techniques to help with many potential confrontational situations. With these techniques, we build on the solid martial art and self-defence foundation we gained through training in Koshijutsu and Koppojutsu. Bujutsu is the umbrella term used for the martial skill set and battle strategies used by the Samurai class, their ruling lords and subordinates in ancient Japan prior to the country’s Westernisation. Traditionally, Bujutsu was a very broad discipline, including skills such as archery, horsemanship, calligraphy, spiritual discipline, battlefield strategies, battlefield weapons skills - including spear, halberd, battle axe and much more. The Samurai and his sword became the typical picture in ancient Japanese person’s mind in more recent centuries when referring to Bujutsu. Jujutsu is a form of grappling, restraining and throwing an attacker that was the basis for the unarmed fighting techniques for the samurai class and their subordinates. With the Jujutsu of Bujinkan Budo Taijutsu, we learn techniques and principles that complement and further expand our repertoire of Ninjutsu techniques. The emphasis of Bujinkan Jujutsu is about taking the opponent to the ground and restraining them as quickly and efficiently as possible. Dakentaijutsu adds the additional skill set of techniques that have evolved from fighting unarmed, whilst wearing armour such as samurai armour and chainmail. 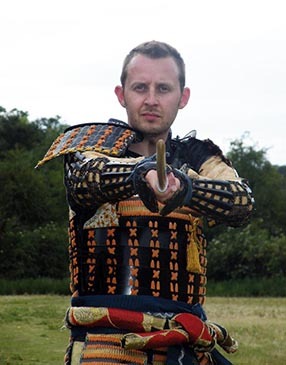 Though these types of armour are no longer used in modern societies, the Dakentaijutsu martial arts techniques of Bujinkan Budo Taijutsu are appropriate and useful for those wearing modern-day protective armour, such as soldiers and those working in the security industry. Happo Bikenjutsu forms the backbone of the weapons training when considering the Bujutsu of Bujinkan Budo Taijutsu. We learn in depth techniques for using various length staffs and sticks. We also learn traditional spear and halberd techniques in addition to techniques for use of long and short samurai swords. Along with learning traditional weapons, Happo Bikenjutsu teaches us how to apply these techniques with everyday objects, such as sweeping brushes, pens, keys, credit cards, and other ‘weapons at hand’. These techniques originated and developed in Japan over a 900 year period, passing from Grandmaster to Grandmaster until present day. 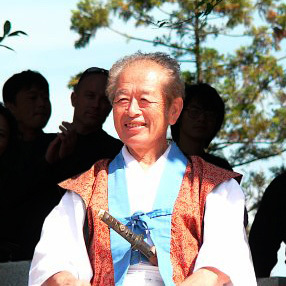 The current lineage holder of this wealth of Japanese heritage is Grandmaster Dr Massaki Hatsumi. At the Bujinkan Saffron Walden Mushinzui Dojo, we will teach you a traditional Japanese martial art brought to life through practical techniques that are as relevant to our self-defence and survival today as they were to the Japanese over 900 years ago. Bujinkan Budo Taijutsu is the original mixed martial art (MMA) underpinning the armed and unarmed combat systems of Japan for centuries. As a beginner, you will be taught a mixture of modern and traditional armed and unarmed combat techniques. We will teach you how to defend against weapon attacks, and how to disarm and subdue an attacker. 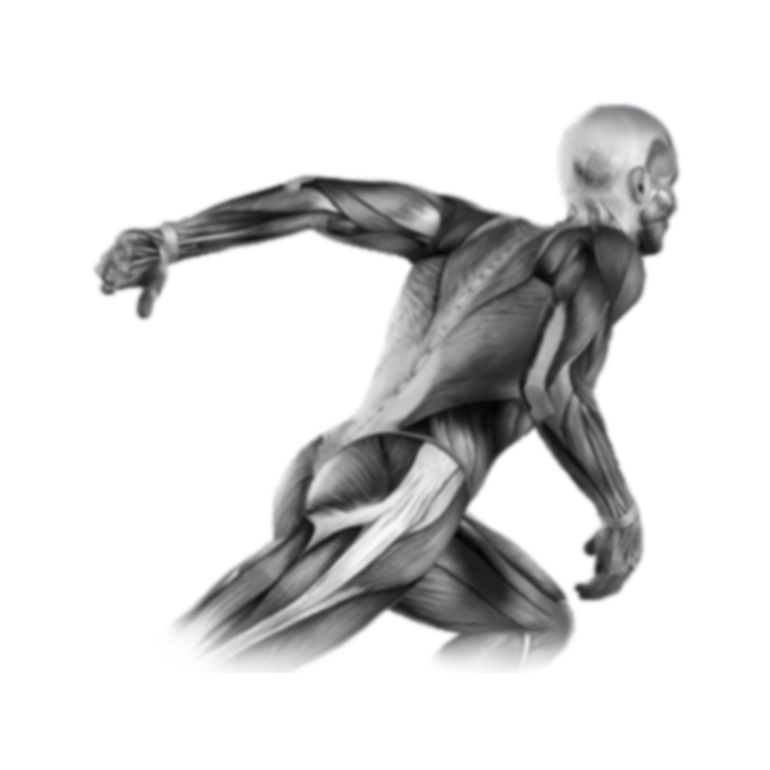 We will teach you how to throw, lock, and restrain single and multiple attackers. We will also teach you how to evade and escape if you are restrained, thrown or put into a holding lock by an attacker. Furthermore advanced students will be taught the higher level aspects of the Bujinkan Martial Art which train you to be able to fight without ‘fighting’and defend without ‘defending'. 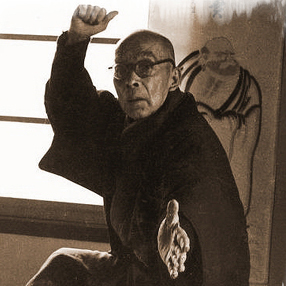 Dr Hatsumi who lives and teaches in Japan, formed the Bujinkan organisation in the mid 20th century to preserve and transmit the prescious knowledge kindly transmitted to him by his teacher Osensei Takamatsu Toshitsugu, the previous Grandmaster of this tradition. The nine martial art schools (ryu) that Dr Hatsumi holds the title of Soke (Grandmaster) for and constitute the whole of Bujinkan Budo Taijutsu are: Gyokko Ryu Kosshijutsu (28th Soke), Koto Ryu Koppojutsu (18th Soke), Takagi Yoshin Ryu Jutaijutsu (17th Soke), Kukishin Ryu Happo Bikenjutsu (28th Soke), Shinden Fudo Ryu Dakentaijutsu (26th Soke), Togakure Ryu	Ninpo Taijutsu (34th Soke), Kumogakure Ryu Ninpo (14th Soke), Gyokushin Ryu Ninpo (21st Soke), and Gikan Ryu Koppojutsu (15th Soke). 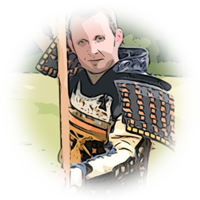 Click here to find out about us at the Bujinkan Saffron Walden Martial Arts Dojo. 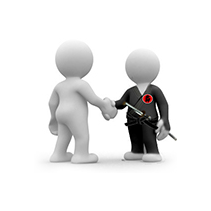 If you would like to know more about training at the Mushinzui Dojo Martial Arts School in Saffron Walden, Essex, then please drop us an email or give us a call on Saffron Walden 584324. © Copyright 2010-2019 NetBite Web Solutions. All rights reserved.